WELL … TUESDAY I BROKE DOWN and turned the heater on. I’m such a cheapskate (I’m part Scot, after all ) and figure I can handle the cold—not! In the house, the temp has only made it up to 57F all week … and temps outside have been relatively low. With my wonky thyroid and the chilly temps not making it much over 60F, it was time. Oh, so time! I still don’t have it turned up a huge amount— it was on a 55F hold and I only popped it up to 62F for now (… well, maybe it went up to 65 a couple of times). The set-back kicks in around nine AM (to around 59F), so I’ll be manually tapping it up every day as needed. If I’m not here, I bring it back down to the low setting till I get back. So … our cold weather has begun. Not that far into autumn and the nip in the air has definitely settled in. That means my persimmons will ripen before Thanksgiving Day, which is a big “YAY”! My trademark persimmon puddings will begin showing up. That makes me happy! I’m hoping that rain is not far behind. There have been taunts in the forecast of 50% chance of rain mid- to late-week on Thanksgiving week. It keeps getting moved back, closer and closer to the weekend. When it does that, it’s almost guaranteed to peter out to nothing but a drizzle at best <pout>. No rain forecast for this weekend, so we should have a good turnout for the Aromas Hills Artisans’ Holiday Arts Festival. I was hoping to take my lattice display so I could hang my framed work, but the location we (Joyce Oroz and yours truly) ended up with does not allow it. All I can manage is my bin art and note cards scrunched down into one small space—along with my three books, hopefully only taking up about 1/3 of an 8 foot table. Joyce has thirteen books in her Josephine Stuart Mystery series. plus her husband’s historical fiction tale, Okinawa Moon … and her new childrens’ book—it is a series (of one, so far, but she is working on the second in the series) about problems children might encounter—from a dog’s point of view. Definitely cute, definitely helpful. But we are outgrowing sharing a table at the rate she’s writing—and by next year, I should have my fourth (Mischiefmaker) book published and ready for reader-consumption. Maybe I’ll even have book five (The Catalyst) if I do things right! I’m progressing nicely on book five—using November’s NaNoWriMo to keep me motivated <insert huge grin> With all of these books, we may need to consider our own tables for future events. Not to boast, but this weekends event is definitely a quality-affair. The artisans participating are excellent—if not masters—in their craft. I try not to compare myself to any other artisan … I always feel their work is so much better than mine, but they keep reminding me comparison is not the proper way to judge one work over another. I’ll keep telling myself that (this is a good example of how authors, artists and crafters feel about their own work—always trying to compare to another persons’ work). This is an event you won’t want to miss. Aromas Hills Artisans’ annual Holiday Art Festival, held at the Grange features quality hand crafted items, arts/craft demonstrations, raffle and food, plus a warm fire to sit by as you nibble on your purchased items. Joyce Ororz and dj jameson smith will have their mystery and fantasy books for sale, plus dj will have her photography and art available. Larger than ever with a few of the AHA members selling their wares for the first time, this will be a fun event to explore all of the arts, crafts … and books. Joyce Oroz and dj jameson smith will be there with their mystery and fantasy series. GOOD MORNING! FRIDAY IS turning into an absolutely gorgeous day here on the Central Coast of California. I truly live in Camelot—um … well, except for the three-ish days of rain and horrific winds. And now, it is the calm before the storm—a small respite before the next storm comes in tomorrow … the proverbial “calm before the storm”. The weather seems to be mirroring my life right now—at least, somewhat. The storm is gathering. So are all the things that need to be accomplished. They are piling up … and I either tackle them—quickly—or they will run me over like a bulldozer. These last few storms have been like that—slamming the Central Coast with monster wind and rain (seriously unusual for this area—and these new weather patterns seem to be morphing into the “norm”)—major flooding elsewhere in the state—and mudslides in Big Sur are hopefully not undoing what CalTrans has worked so hard to repair from last year’s storms. Well, I wrote all of the above last week. Monday—after a damp rainy weekend—was another gorgeous day, as were the rest of the days this week. Truly wonderful weather. I think the serious rains are really done for the season. And I still have a mountain of things to tackle before my trip. But, better weather and my ever-improving health is making the list look not quite as daunting. So much as been accomplished this week—so refreshing. Editing has happened all week, plugging away at transcribing corrections for book one, editing book four and adding words to book five. (Book two sits in limbo, waiting for me to start the edit.) It truly feels wonderful to be getting things done—two long years of recovery, with its ups and downs. I think I can finally put that problem to rest. Yay! My upcoming trip has certainly put a fire under me. I’m even getting things done around the house and in the yard. Can you see me doing Snoopy’s happy dance? (Insert foolishly giant grin here). My give away pile is growing; I need to make dump and recycle runs and I’m knocking off things on my to-do list. Feels good. Definitely. I’ve even celebrated two birthdays (sniggle—same person …), spent time with my writing group and worked on getting my ducks in a row for the trip (still need to purchase some euros and pounds to take with me). As I came home these last few nights, I’ve seen the amazingly bright almost-full moon shining overhead—the weather has been very kind in that regard. I’m looking forward to Saturday’s blue moon—apparently it is the second of two blue moons for 2018, if I read the information correctly. I may be up extra late (or would that be super early??) to catch it with my good camera whilst it’s at its peak—my Painterly side is even getting a boost this week! Additionally, I’ve a few incomplete watercolour paintings that I’ve been studying off and on this week, trying to decide what to do next. Both have nice qualities (trying to decide it I’ll be able to layer them together in Photoshop—I hope so. It will be the beginnings for the cover for book one. My upcoming trip has certainly put a fire under me. Honestly! I’m even getting things done around the house and in the yard. Can you see me doing Snoopy’s happy dance? (Insert foolishly giant grin here). And it does feel good! My give away pile is growing; I need to make dump and recycle runs and I’m knocking off things on my to-do list. Feels good. Definitely. I’m looking forward to Saturday’s blue moon—I may be up extra late (or would that be super early??) to catch it—my Painterly side is even getting a boost! I’ve a few incomplete watercolour paintings that I’ve been studying … trying to decide what to do next. Both have nice qualities (trying to decide it I’ll be able to layer them together in Photoshop—I hope so. It will be the beginnings for the cover for book one. 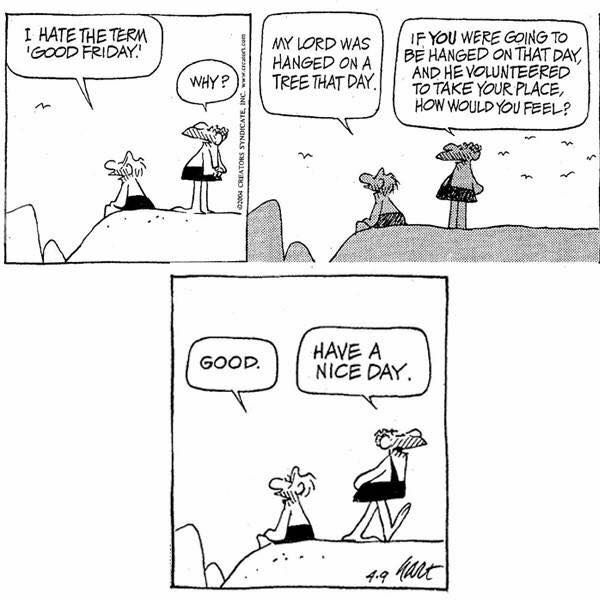 … And, this week culminates with Good Friday. Seems an ironic name for the awful thing that happened a little less than 2000 years ago. Christ dying an agonising death, taking on all of our sins. ‘Tis solemn and sad … but not really. It is the beginning of a celebration. The BC cartoonist, Johnny Hart, explained things in a nutshell (click on the image to enlarge), don’t you think? Sunday is a new beginning—a new week, with Easter—the celebration of the resurrection of Christ. And with all the flurry happening in my life right now, I’m glad to have both Good Friday and Easter happening—both are humbling for me, centering me. Very special days to celebrate. So, my friends, I leave you with wishes for a blessed Friday and weekend … and the week to come. IT’S THAT TIME AGAIN … THE SAND FOR 2016 has almost run out. I’ve only a few more blogs to do before the closing of the year. I’m surprised I’ve managed to produce one weekly (well, almost). These last few months have been crazy. I knew they would be. I almost burned out—but not quite—from five-plus weekends of book signings and a lovely OGS Artist Showcase party (and a few personal and holiday fun things I squeezed in—I just cannot say no to fun with friends and family!) … leaving me with only one more event coming up tomorrow (that’s Dec 10th at Aptos Grange, Aptos CA folks)—and a mere three blogs to conjure after today before 2016 expires. I’m ready for it—for all of it! I still have my initial edit for book four to finish (then begin the re-writes) and my publisher will be sending me a first “re-edit” (actually, first truly professional edit) of book one for my perusal—gotta get that back asap so we can get it back into publication! And for my event tomorrow, I worked my fingers to the bone all week trying to get the Christmas cards done—I was so excited that I was able to use images taken two nights in a row at the Christmas at the Inns in Pacific Grove. The Bed and Breakfasts and Inns were splendiferously dressed for the occasion. Beautiful. And yummy goodies to nibble on, too. My favourite was the Jaberwock Inn … for obvious reasons. And I had so much fun turning a slew of photos into lovely faux watercolour images. They all turned out very nice (insert huge grin). I did not reach the 50,000 word goal for NaNoWriMo (National Novel Writing Month). I was about 20,000 words short, but that’s okay. I’m super excited about where the story is headed. I was going to the NaNo TGIO (thank God it’s over) Party last Sunday, but was too exhausted from a combo of some personal fun and work-related stuff on Friday and Saturday. Sunday turned into a day of rest. I had printed up an excerpt to read—re-reading it was fun … oh, yeah! So sad I didn’t get to share it. Maybe I will later … maybe. Book five is going to be suspenseful. Definitely. Tomorrow, Joyce Oroz and I will be in Aptos at the Grange—along with quite a few other vendors—hawking our wares: Josephine Stuart Mysteries series (I think she has eight) for Joyce and my Secrets Beyond Scymaria series (books one-three). I think we’re the only ones with books, but I will also have my art. I was told “no photos—we’ve already got three photographers”. I was given permission to sell art and my photopolymer prints (plus … well, I haven’t talked to the contact about my Christmas cards … but I’m sure they’ll be fine because they are “watercolour” vs straight-up photos). Don’t freak out but … do you realise there’s only sixteen days till Christmas (eeeek!) and fifteen days till the beginning of Hanukkah? Sniggle … on that note—before I close, I want to wish you a blessed Friday and week ahead. Try to stay focused on the reason for the season rather than the craziness all around you. I’M A SUCKER FOR ANYTHING in nature reflecting back in a body of water, or in any reflective surface for that matter! Makes me melt for some reason. The momentary capture of such magnificence … a camera can capture the technical aspect, but there’s more … and it’s hard to explain. There are other kinds of reflections … the obvious one is of mental images and thoughts. That’s another kettle of fish, isn’t it? So much can be gained from this kind of reflection. Looking back. Evaluating. I’ve had an opportunity to do a little of this in the past few months. No, actually, lots! (Insert severe eye roll here … teehee). So much has happened to me—and to the world around me in the last four-ish months. I grumble at how slow the healing process seems to be (it isn’t really … just feels that way). Then I look at the absolutely insane craziness of politics, the injustices occurring with our military personnel, in our Native American and the African-American communities throughout the United States, … I’m sure you are aware of it all. It makes me take a closer look at the depth—and insignificance—of my own problems. Yes, I’m having issues … but compared with what’s happening with friends and their friends, and in the world—it’s nothing. And I am slowly improving. I need to keep reminding myself of this. This is my reflection. Healing, focus is returning … I’m nearly back to normal and I thank God for what I do have. As I begin to write this … early in the week, I look ahead at my own crazy week. By the time I post this, I’ll be half-way across the country preparing for what will hopefully be a very fruitful trip; meeting new people, perhaps purchasing new books and scoping out potential new venues (aka: bookstores) for my books. Much has been invested into this trip. Time, money … energy. I’ve probably put far more into this than I will see back. At least in the immediately future. I keep reminding myself I am doing this because I love writing—not for money. I’ve spent a lot of brain cells, sleepless nights, worry … and energy to get my series where it is. And I am hoping that this will be another step forward in presenting my story to the world at large. It’s all very exciting. I’ve definitely stepped out of my comfort zone—all my book signings to date have been no more than an hour from my home base. This is a huge leap for me. I’m in the heartland of our country. A whole new world for me. Reflecting back on when I started this little endeavor—so many years ago, I never imagined it would get this far. It was just a nice little story that wouldn’t leave me alone. It needed to be written down … and the story still begs to be written, just not as urgently at the moment (that’s the focus issue … but as I’ve said, that’s improving). I look forward to the day when I start complaining of lack of sleep because my characters won’t leave me alone. I’m thrilled that people enjoy my story. Most writers wonder whether their book (and all the angst that goes into writing it) is worth the effort. I know I speak for many writers when I say that it’s delightful to be validated with sales and positive feedback from readers (a heartfelt thank you! to those who have purchased one or more of my books). Writers—as well as artists—have this critic sitting inside their head … your work is lame … why bother … nobody’s going to get what you’re trying to say … it can be very frustrating. Reviews are great—not only to inform other readers (an excellent tool!) of how good the book you just read is, but also to validate your favourite writer and keep them writing. Believe me—they do read every single review. Some they lament over, but most help bolster their will to keep writing—to go on to publish for the public. For me, I look back at where I started … and where I’ve landed and am happy with what I see. The learning curve was steep (sometimes I think it still is—insert severe eye roll here) but it’s been a fun ride and I know it will continue to be so. What this all boils down to is … my past love of writing has brought me to this: a weekend where I get to rub elbows with a bunch of cool authors—both Inknbean Press authors and others—and meet other book press representatives … and who knows what else. It will be a new experience—and if you’ve been following my blog, you know I love new experiences. Until next week, have a blessed week … no matter what happens. Playhouse on the Square, Memphis Tennessee. Saturday, 11 September … rain or shine! Come on down! Secrets Beyond Scymaria: Mischiefmaker … somewhere into chapter two. Grabbing her backpack, she tippy-toed into her mom’s room to find it empty. Shrugging her shoulders, she spun on her heels and flew down the stairs into the kitchen—her mom’s sanctuary. There she was, back to her, busily preparing breakfast. “Mom,” Amy protested, “it’s only half past! What on earth are you doing up so early?” She slid up behind her mom before she had a chance to turn around and she gave her a hug. “Oh, I’ve got my reasons,” returning her hug, her mom avoiding answering the question directly. Amy smiled, wondering if she knew something. “Um, wouldn’t by chance have anything to do with a request from, um…the Guardian, would it?” She knew all of the adults that were aware of their friend preferred referring to Rocky as the Guardian. She had a hard time remembering to use this “formal” name. “No, you eat your breakfast. I’ll have it done before you know it.” Already busy working on the lunch, back still turned, Amy’s curiosity was peaked. There was something about how she said it that had her wondering. “Anything I’d be interested in?” She shoveled in a few bites of egg and bacon, savoring the flavors, waiting for a response. “Hmm? Oh. No, dear. Grace and I are just going to go into town to do a little shopping, that’s all.” She continued to work at the counter, back to Amy. Ty! What’s your mother doing today? Is she going with my mom into town? I’m getting a little bit suspicious. She chuckled to herself as she threw her question out to Ty. She’s obviously hiding something—why keep her back to me? The next thing she heard was a gale of laughter in her mind. Her fork clattered onto the floor, along with her next bite of egg. What was that for? “Oops. Sorry Mom. I’ll clean it up.” She quickly grabbed a napkin, cleaning up her mess, wiped off the fork and finished her meal, listening to Ty’s explanation. I just caught my mother packing a lunch for me. She even pulled out my old backpack. Did your mom pack one too? She’s skirting my questions. So transparent, it’s not even funny. So, what’s going on? Yeah, she’s making it now, while I finish up breakfast—which was all ready for me when I came downstairs. She let a laugh slip, which caught her mom’s attention. “Mom, it’s okay. I know you’re hiding something. Obviously Rock—I mean the Guardian has talked to you about our little trip. Looks like you know more than we do at this point. Wanna share?” Picking up her plate and fork, she brought them over to the sink and did a quick rinse before slipping both into the dishwasher, then gave her mom a lingering hug. She called out to her mom as she opened the front door, “G’bye, Mom. Love you!” She could hear a faint “Love you, too!” in reply as she shut the door behind her. Ty saw her come out the door, calling out her usual “good-bye, love you” to her mom as the door closed. I like how she does that, every time—ever since her dad died. He jumped off the porch swing, leaving it to its cockeyed swinging and sauntered down the stairs two steps at a time, waving to Amy as she looked over, smiling. Cheerful. Good. Well, hopefully she slept better than she’s been sleeping lately. She hasn’t said anything about it yet. She looks like she might have had a good night. Hey, Amy. How’d you sleep last night? He could hear her groan in his mind. Don’t ask. Talk about anything else, okay? Ty scuffed at the ground as he met her out on the sidewalk. “Okay. Whatcha got in yer backpack? Looks awful heavy.” Leaning over her, he started to unzipped the pack to take a peek. She swatted at him. “Keep out, nosey! That’s a surprise. Mom was gonna put the kitchen sink in there if I hadn’t stopped her. C’mon!” Laughing, she dashed off, with her backpack thumping along in beat to the rhythm of her jog as she headed for the park. He could hear a chinking and sloshing sound as she moved away from her, peaking his curiosity. “Are you sure she didn’t sneak it in? What’s that noise?” When she didn’t respond, continuing to move away from him, he called out, “Fine!” He let her get a bit more distance between them before slinging his backpack into place, and jogged after her, easily overtaking her with his long stride before she reached the park entrance. He grabbed at her backpack to stop her, then playfully yanked one of her pigtails. She twirled around glaring at him. He could see she was ready to rip into him. He smiled and gave her a wink, pointing forward. You are not taking any precautions anymore, are you? Keep walking, but not into the park, okay? Let’s go to the Main Street Park for now. I’ll explain later. So, my friends, that’s it for now. My meds are kicking in, so I know better than to attempt any more writing. Hope you enjoy the tidbit. It’s not—by any means—the nail-biter that I am presently working on. Perhaps I’ll reveal part of that the next time I give you a peek into book four. Until next week, have a wonderful Friday … and a blessed weekend! WELL, I DON’T THINK I HAVE A COMPETITIVE bone in my body. I don’t compete (I tried as a kid—on the high school track team … and that was more than enough). It’s never been high on my list of priorities, but the poor “loves” of my life definitely vie—they compete for my attention, my time … and my energy. I am scrambling—which is thankfully keeping my mind off the “travel dilemma” ahead—to get the required information and artwork (two pieces to hang … and any pieces that go into the art bin) completed before the November 1st deadline. It’s kinda hard to turn in information on art that doesn’t exist yet … oopsie—I’m workin’ on it! I’ve been working on a couple things, but have not liked the results. So this week and next will be spent sorting out what I want to do, creating/printing some art, then documenting it (photographing and writing up a description) for Open Ground Studios. The Exhibition for us co-op members will not be hung till the middle of November … and the Opening-slash-Christmas Party isn’t until December 4th (please mark your calendar if you’re local), but all information must be in by November 1st. All new work. So, I’m busy—beyond busy, trying to push myself to be creative … which isn’t that hard in the wonderful setting that makes OGS the creative place it is. Breath … deeply—and press on. And know that I’ve improved with each book I’ve written. And will continue to improve! … And, as it’s now Thursday, I can tell you I did fine—even if I was a wee bit nervous. Nervous enough to forget to mention the book title in my introduction <giggle> but was able to use that nervousness to express the nervousness of one of my characters as I read. It was a good evening. Oh! Did I mention that National Novel Writing Month is less than ten days away? Have I started preparing? Um … no. November 1st. Another deadline. These next few weeks are going to be crazy. But November will be equally as crazy—trying to keep my “routine as usual” on top of finding time to squeeze in an average of 1,667 words daily, writing with abandon. Fun. Honest … it is fun—and doable if I keep focused. Key word: focused (add winky face here as I’m sure I’ll have issues with that). And, in the midst of that November chaos, there’s a book signing or two. I don’t think I know the meaning of moderate in my lifestyle. Sniggle. But, that’s part of who I am. Crazy, living life to its fullest … then crashing for a wee bit to recover, only to do it again. Yup. I’M NEARLY READY TO TURN IN my manuscript to my editor for the first of his critiques (I keep saying that, don’t I? I keep getting sidetracked—teehee)…but before I do so, I thought I’d give you a taste of how the third book begins (in the unedited form). In it’s final form, it should be ready for publication by late Fall, 2014 if everything falls into place as planned. The new morning brought renewed hope. The sun, still low in the sky, just beginning its ascent coupled with an unusually warm breeze, flowing from the northwest, created excitement for everyone. An excellent Saturday. As Amy stepped out on her porch, she could see Ty, already sitting on the swinging bench on his porch. She waved and grinned as she took a long deep breath, savoring the warm woody breeze brushing against her face. Ty jumped from the bench, leaving it to its cockeyed swing, returned her wave and thought, Good morning, Amy. Still able to read my thoughts? He stood there, staring at her, concentrating. She smiled, cocked her head curiously, but no reply. He shook his head, sighed and heavily trod down the steps, punctuating each step with a pause, until he reached the bottom. He turned to face Amy, you can’t hear me, can you? Amy continued to watch him. She lightly flew down the steps, barely touching them as she went. Before he could get to the sidewalk, she was there, waiting. Staring intently at him for only a moment, Amy flashed a smile as she reached over, tousled his hair and snatched his hat. Before he could react, she was flying down the street to the park, laughing all the way, holding the hat close to her. She could hear him as he followed close on her heels, shouting for her to return his hat, laughing almost as hard as Amy. As they approached their park’s entrance, Amy slowed momentarily, glancing behind her and realized that Ty was within reach but had yet to grab at her. Scrunching her face, she turned back to focus on entering the park. Out of the corner of her eye, she saw a figure climbing out of a car. Her laughter caught in her throat when she realized it was the professor. No! No…not now! Hope your week is filled with hope. Have a blessed week ahead. LADIES AND GENTLEMEN–AND KIDS of all ages…I am breaking into the regularly scheduled post about my trip to make an announcement (patience…I’ll continue the story of my trip next week). I would be remiss if I didn’t let you know that my second book in the Secrets Beyond Scymaria series is finally available for your reading pleasure. Perfectly timed for a good summer read. Secrets Beyond Scymaria, is an engaging read for all ages, with many unexpected twists and turns. Second in the MG/YA sci-fi fantasy series, Secrets Beyond Scymaria: Warriors of the Forest continues the adventures of Amy and Ty as more problems crop up with their classmates and the professor returns to add even more grief to their lives. Their new-found friend invites them on an adventure through the portal into his world, but events unfolding could trap them in this new world if they don’t act fast. Book Four has a working title of “Redemption” and will be released sometime in 2015. 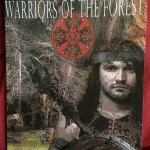 I must say, I am excited that Warriors of the Forest has finally made it through the grueling publishing process. My talented cover artist, Michele Luccketta, created a delightful cover for the book. Soon, she and I will sit down to come up with the cover for book three–and that book is gearing up to begin the publishing process…but what has me über excited is the fact that book four (with a working title of Redemption), which I started in January, 2014 is growing into an amazing addition to the ongoing story that makes up the Secrets Beyond Scymaria series. Unlike many writers, I do not use an outline, nor do I have any concrete ideas of what the beginning, middle or end will be when I sit down to write. I jokingly call it ‘seat of the pants’ writing. I solely depend–and have faith in whatever God provides. And He has never failed. It makes the story as exciting for me as it does for you, the reader. The only difference is, you can sit down and finish the book within a day or two. I must agonize for weeks or months over what will happen next. What I do know is, it appears that book four will be introducing a few more characters. I was surprised to see them pop up–will they be friend or foe? Honestly, I don’t know yet. I’ll find out as they unfold their story. Enjoy Secrets Beyond Scymaria and Warriors of the Forest–and be ready for the third one, The Scymarian, to come out before the end of 2014. Please feel free to let your friends know about the new book! I’m lining up dates for book signings and will let you know as soon as they are confirmed. May your day be filled abundantly with joy and peace. NEARLY EVERY MORNING, AS I GET dressed, I put three silicone bracelets onto my wrist for all the world to see. They are not color co-ordinated with my clothes: one is yellow, another is purple and the third is teal and white swirls. Nope. Definitely not. I’ve collected them over time and I really don’t care because they are part of who I am. If anyone asks about them, I say they are all about a cause, a purpose and a piece of my life. The purple band is a reminder of the Alzheimer’s Association’s Memory Walk. Well, they don’t call it that any more, but that’s what it is. I’ve had this band for well over ten years. The walk is to bring awareness to a disease that is effecting more and more people–not only the individual with the disease, but those closest to them–as time goes by. My dad had Alzheimer’s Disease, as did one of my husband’s aunts. I watched my dad lose touch; slowly he had more and more difficulties with simple daily tasks; his most recent memories disappeared, then more and more to the point he only recognized me some of the time–and only as someone he knew was ‘special’ or ‘important’ (his words) to him. I was in his life most days, and I thank God for that. My brothers all reside a long way off and their lives were like any other persons–busy. They would visit as often as possible, but there was too much time away for my dad to remember them. They were strangers to him. I felt sorry that they were not able to see the delightful things, the childlike things he did. I have some wonderful memories from before he passed away. So, this purple band is personal. Very personal. Most years, I walk in the Santa Cruz and/or Monterey “Walk to End Alzheimers”, held annually in September for Santa Cruz and October for Monterey. I’ll be doing both again this year. I’ll tell you more about it in another blog later this year. The yellow band is a reminder of what I must do: write. It is for National Novel Writers Month (NaNoWriMo). I’ve had it for about four years. I do support them annually also, in addition to participating in their Novemeber novel writing frenzy. It forces me to put thoughts to paper daily–well, almost daily–for a solid month. It has been useful to help me create some good stories. That brings me to the third band. My teal and white swirled band. It’s pretty new–less than a year old, but a lovely reminder of who I have been for quite some time: a writer, a blogger–and now, a published author. Secrets Beyond Scymaria is the on-going sci-fi series, rolling around in my head and I am constantly working to put it into words on paper. Book one is in print, book two just came back from the editor after a second round of editing (I need to polish a few points here and there…then it’s ready for the publisher), and I have book three to get ready for the editor and…well, you’ve heard this all before and it must be getting repetitious. Sorry. So, my writing is part of my life, as is my art and photography–but I don’t have a band for that (hmm…maybe I should), so I like to think the artistic choice of colors and swirl of the three bands represents that. There is one other very important part of my life that is not represented on my wrist “for the world to see”. I don’t need to. It is deeply rooted, interweaving all four–and so many more (family, for example)–aspects of my life. It is my love for God. It’s not just a go-to-church-every-Sunday kind of relationship. He’s my gyroscope. My stability. My reference point helping me navigate this thing called Life. I try very hard to have Him at the center of my life; at the center of each activity I do as I wade through each and every day. I’m not perfect at it because I am human. There are days that my life gets busy or I get grumpy…or tired…and I forget, but always, the moment I realize it, I draw open the door and invite Him back in to take center stage. Things always get better when I do. It doesn’t mean everything is perfect with Him at center stage…but it sure helps move through Life with Him there, at my side, ready to comfort me, celebrate with me, listen to me…even guide me, when I take time to listen. So, a cause, a purpose and many pieces of my life, interwoven together like the colorful ribbons on a May Pole with God acting as the strong, anchored central pole. As I negotiate life, He stabilizes me as I weave, bobbing in and out and through situations, struggles, and triumphs, creating a beautiful multicolored tapestry called my life. Right now I’m still just a ‘work in progress’ with loose threads running everywhere; incomplete. But, I know the craftsmanship. And it’s creator. I know it will be a beautiful sight when it’s done. AN AUTHOR’S LIFE IS SPENT AGONIZING over writing, editing, promoting and selling their book, wondering if it will appeal to the readers at large. Reviews can make or break a book in term of sales, since many people demand a review before they will even consider making a purchase. To that end, dear readers, I have a request: if you have purchased Secrets Beyond Scymaria, please consider writing a simple review to help others decide if it’s a book they (or someone they know) might enjoy. I will even throw in a little incentive for you, in the form of a contest–the prize, you ask? How does a $25 gift certificate from Amazon sound? At the end of the contest, I will chose from all of those that post a review (I will be drawing names at random–whether a one star or five star review) between today and 31March, 2014. I do need to know you’ve posted somewhere, so please come back here and comment with the link–and make sure to provide contact information (your name and email)–or if you prefer more anonymity, go here to comment and you’ll be able to provide your contact info confidentially. Please be aware that I may use all or part of your review for advertising purposes. I will use first name and initial of last name only. If you do not wish you review to be used in advertising, please advise in your post. As a writer, I am still interested in knowing what you think, even if it isn’t to be used as promotional material. I will randomly choose a name and post the winner here on 3 April, 2014. So, go ahead. Pull that book out and get it read, then write a review. Let others know how you liked it. TIME DRAWS NIGH…SO VERY SOON the Teen Read Week begins–13-19 October and the Blog Hop begins on Monday, the 14th of October. This is an excellent week for teens of all ages (12-18) to come over to several sites specifically set up for them to discover and learn about authors and the books that are written with them in mind. Whether an avid reader…or one that is rather reluctant, this week is for them–both in local libraries and on the internet, as the week is sure to kick off with many things to do. The sites are: YALSA’s Teen Read Week: Seek the Unknown and Greta Burrough’s Inspiring Teens Blog Hop. There will be links for all of the books and authors and the bloggers’ sites that are involved in this event, plus contests where you can vie for booty (books & swag) at the Blog Hop all week long. Libraries in your area will have events, readings, etc going on–make sure you check in with your local library to see what’s happening! I will be hosting Sharon Ledwith, author of The Last Timekeepers and the Arch of Atlantis and its prequel, The Legend of the Last Timekeepers on Tuesday, 15 October! I am excited about this event, as I have already read the Last Timekeepers and am reading the prequel now. They are good books. If you like science fiction fantasy, whether a young adult or child at heart, I think you will enjoy these books. On Saturday, 19 October–the final day of the Teen Read Week and the Inspiring Teens Blog Hop, I will be hosted as an author by blogger (and author) Donna Dillion, where I will talk about Secrets Beyond Scymaria, a little bit about the upcoming books (book two and three) in the series and reveal a little bit about the characters, plus have giveaways for copies of the book. Please make sure you make your way over to both sites the week of 13-19 October. Don’t miss out! It will be fun. I’VE BEEN MIA FOR A BIT NOW, what with frantically trying to get all my ‘ducks in a row’ with my book, getting another art exhibition ready, traveling to visit friends…and now a lovely sinus infection. It’s finally quieting down, though there are still loose ends everywhere. Still things to be signed, Book Art classes to attend (I’ve missed three with my travel, which makes me very sad), a little more traveling and some digging into my photo archives for a potential sale or two. With my train travel, I have actually had time to sit back and doodle with paper and water color–and completely read two books (and start a third)! I haven’t been able to do that for some time now. Thank God for the Kindle, which allows you to ‘cart around’ a stack of books without the burden of bulk. Such a delightful feeling to finally get into other writers fantasy worlds, and I am craving more. I’ll be downloading more books very soon! The books I read: Grimsley Hollow: The Chosen One by Nickie Storey and The Last Timekeepers by Sharon Ledwith. I do not believe in spoilers: Both are fiction, well written, fast paced, fun stories geared for middle schooler and beyond. There are characters you’ll love, cheer on and those you’ll loath. I think I found myself tearing up in both at times. Like I said…well written. Speaking of train travel, now that I have done the Coach Car routine on two separate trips, I can honestly say it’s great for shorter trips, but ‘overnighters’ may require a sleeper in the future–if I can find one cheap enough. Two hours (maybe) of sleep on the floor of the observation deck leaves a lot to be desired…the coach seats, though spacious, do not recline far enough for my poor back. The phenomenon of feeling like you’re still on the train…it is the most bizarre feeling…I’m not sure it is from my sinus infection (maybe an inner ear thing), or from the prolonged constant motion of the train, but I still feel (a day after the train ride) like I’m rocking or swaying, especially if I’m sitting. A very strange feeling, indeed. Not bad, just strange. On the painterly side, I am taking a book arts class, learning different ways to create books, large and small, which I will incorporate into the personalized storybook creations I make. Open Ground Studios has created a “permanent” rotating artists’ work wall, which is super idea, and I have one piece included. Now that things have quieted down a wee bit, I might actually have time to do some art there, also! I plan on taking a trip down the coast in the near future to capture some images of our beautiful coastline and trees. They (mostly pine, redwood, with a few deciduous varieties) will be beautiful once the temperatures cool down and they start their brief color changes…the mix of colors will be striking — I hope I can capture it to my satisfaction! Very soon — only a couple days more than a month, NaNoWriMo begins once again. I am excited! November 1-30: 30 days of ‘writers abandon’ attempting to create 50,000 words. I already have plans for my fourth book floating around in my head. I will use NaNo as my starting point for this book. Then of course, soon after, I will need to hunker down to begin tying up the loose ends for the next two books in the series so they will be ready for publishing early- and mid-year of 2014. Secrets Beyond Scymaria, book one, was the beginning, setting the stage. These next two will be even more exciting than the first. Book four is planned to come out just before the holidays, Fall of 2014, if all goes well. May God bless your days ahead, filling them with health, wisdom and a wealth of experiences. WELL, FOLKS…FINALLY, IT HAS COME full circle. My labor of love, starting from a kernel of an idea, progressing through the painful stages of writing, re-writing, critiques and multiple edits, then the multiple stages of the publishing arena–has now come to fruition. The only thing left is for my author’s copies (one of each) and the shipment of books for book signings to arrive. Then, the next leg of this truly amazing adventure begins anew. My book, Secrets Beyond Scymaria, is finally ready for you, the reader to enjoy! You may order your copy through Xlibris.com/bookstore NOW, or wait (up to 4-6 weeks) till Amazon.com and BarnesandNobles.com finally has it in their online bookstores (and hopefully at the brick and mortar store of your Barnes and Nobles). I will be working with local bookstores very shortly to get it on the bookshelves. I will keep you apprised of various store that will carry the book. You may also help out at your local book store by ordering the book there. If enough of you do so, they will stock the book for others to purchase (you can mention that the book is eligible for Xlibris’ buyback program, so they are covered if they don’t feel they are selling enough books). I will also let you know dates and locations of book signings as soon as I get them lined up. I’ll post them here and on my website. If you are interested in a book signing in your specific area, contact me using the form on the Contact page of my website or simply by making a comment on this post and I will get back to you. So, happy reading to all of you. I would love to hear from you to get honest feedback on how you liked the book. Really. …and I’ll do the finishing touches on books two and three so I can start the editing and publishing processes all over again–then you can really have some fun! WELL, FINALLY. HOPEFULLY BY NEXT Thursday, I will have a really date for the release of my book…and maybe I’ll know when my author’s page will be up and running. Today, after a few hiccups, I sent in the final authorization for both the interior and cover galleys. Immediately, I wanted to run screaming from Open Ground Studios (I was there finalizing work on one last piece for the exhibition happening tomorrow…last minute–yup…I know) to announce to the world it is coming. It is finally happening. That I will be a published author — very soon. But I knew if I did, they’d pull up a padded wagon and take me away, so I stuffed the overenthusiastic energy. Instead, Denese (OGS owner) and I did a quiet little celebration with a Klondike bar. Then, I went about the rest of the day with a stupid grin on my face, driving too fast (but I did catch myself and slow down — repeatedly…), zooming from one errand to another listening to KLOVE, cranked up very loud, singing at the top of my lungs — until I finally made it home…and collapsed. It’s been a fun, challenging, crazy, pull-out-the-hair kind of roller coaster ride through it all — and I’m not really done. Nope. Not yet. I still have to wait on pins and needles as I handle the promotional portion (authorizing new releases, etc), wait on the heads up that my author’s page is up and running (and then I will undoubtedly need to personalize it), and again, wait for the books, bookmarks and other promo material to arrive. But it is finally coming together — very quickly. I do have two places lined up for readings and book signings (no dates set till I have a release date, of course), plus I need to talk with two or three local libraries about author readings. I have decided that any library where I do a reading will definitely be receiving copies of the paperback — and maybe hardbound copies. I am blessed, for sure. I could not have done this all without my loving & forgiving family and friends, dedicated beta readers, a supportive publisher and an awesome cover artist! Thank you, thank you! And, most importantly: God’s fingerprints are all over this project! Every single page…every single word! Thank you, Lord! Finally, the cover artwork for my book, Secrets Beyond Scymaria. The beautiful artwork was created by a very talented local artist, Michele Luccketta (promo “ink blot” is my doing). As I get closer to the projected release date, I will ‘reveal all’ so you can see the whole cover. This is a teaser. How do you like it? I am excited to say that I just approved the publisher’s cover galleys and will soon receive some of the marketing (press release) information for verification and the galleys for the interior text (font, page set up including indentations, where the chapters will appear…little things like that). It seems that my author’s page at Xlibris will be available soon, also. I’ll give you the link for that as soon as it is available (after I’ve had a chance to make sure it appears just the way I want it to look). 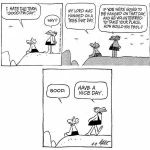 It is hard to get anything else done — every time I make plans to do something, a phone call or email comes in requiring my immediate attention. Frustrating — I want to go play with my camera, plus I have an exhibition coming up very, very soon with it’s own deadlines, but I am also excited. It is finally coming together — almost too quickly. But, if I want to keep my promise of an October release, it needs to happen this way. It’s all very exciting…and exhausting. Hopefully, your days ahead are not quite so crazy as mine. May your days be blessed with peace. JUST THOUGHT I’D LET YOU KNOW — I just did something very scary today…I sent my manuscript in, with a stamp of approval to move forward to the next step. You would not believe how long I hesitated before pressing the send key. Once I did it, I knew there would be no turning back. No more chances to make anymore changes. It’s so easy to keep editing, but to finally say it is what I want — well, that’s just plain scary. I am now out of editing and heading into the formatting and layout stage. Patience…hard to come by right now. While I wait to I hear from them, I am going to let the writerly side rest. Tomorrow I let the painterly side out to play. I have an exhibition coming up at Open Ground Studios (30 October — no pressure there, right?) and want to get my hands into some ink and create something new. This will relieve some of the stress that’s been building up and allow my mind to wander whilst I wait. I have read, re-read and still, I find this story fun, engaging, with surprises around many corners and I want more! And more is piled up in my brain, ready to spill out onto the keyboard when I am ready to sit back down and get serious again. But, right now, I am anxiously awaiting the return of my manuscript, which I am sure will be rife with corrections…corrections that will need rectifying very quickly if I wish to keep my October, 2013 release time frame. In the meantime, I have been on holiday, enjoying myself…not thinking (well, not too much at least) about writing. 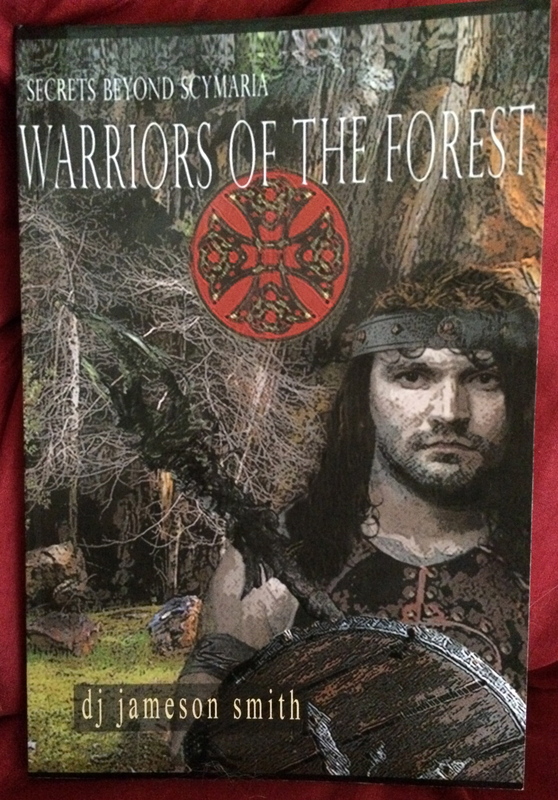 I have my cover art well in hand…in good hands of a wonderful artist, Michele Littlejohn-Luccketta of The Potters Hand. Tomorrow, she will reveal her handiwork to me and I am excited to see it! She will also take my picture for the author’s photo on the cover. I want to keep my book and all that goes in to it as local as possible…except the publishing part. I have yet to create much of anything artistically at the Open Ground Studios, except for the mini-workshops that are open to the public. I’ve made origami creations, Japanese sumi-wash painting, had fun at a social night or two, gone to several exhibition openings for fellow artists and this weekend, I will participate in a workshop led by Frank Trueba, to learn how to make/create Japanese wood-cut prints and enjoy his exhibition opening. Just so you know, most — if not all of this — is available to the public, so if you are interested, come check it out (click on the link above to find out more). To make matters worse, my brain has the notion of taking all of my personalized stories and those stories told in the classroom over the years and weaving them into an anthology…well, perhaps an anthology series, since there are quite a few stories to be had. But, for now, whilst keeping myself busy having fun — cramming in as much leisure time as possible — I anxiously await 7August13. That is the promised date on which I will receive (perhaps before) my edited manuscript for correcting. It seems so far off — yet so very near! Exciting. I’VE STARTED A BIT OF A PROMOTION for my book…already — even though it will not be released until October, 2013. I’m looking to you, my faithful readers, to help spread the word. On my Facebook business page (click here), each Friday — starting today, I will post an Event, scheduled for the following Monday. 3) VIEW the Book Update entries and personal musings entries — found in the Categories list, also found in right column — so you will be ready to answer the questions posed each week. See you on Monday! Please don’t forget to share with your friends! My teen beta reader agreed. Definitely: the second part of my manuscript needs to be split into two — which is wonderful, but, it means I have some serious work ahead to make both “halves” work. Three books for my series without having to stress too much. I like that! I am enjoying this journey, with all of its up and downs and insane craziness (hmmm…that’s a wee bit redundant, but so appropriate…). And it is far from over. Professional editing will give me a tremendous edge, allowing me to in turning these pages into a fun and exciting series! And once it’s in the throws of the publishing process, I will have the next two books to work on…how exciting! It never stops. But soon, I will be able to better control when I dive into the craziness and when I can pull back and relax. Actually take time and spend it with friends — and work on my other loves…photography, art — and just catch up. That will be nice. But until then, I really need to get off the internet and back into my cave…I keep sneaking out. Maybe I should bar the door shut (turn off the internet?). THE GLOW OF THE MONITOR PRODUCED a haunting silhouette as she hunched over her keyboard. The only sound, aside from the call of some bird far off in the night air, was the clicking of the keys as she furiously typed her thoughts. Before she could protest, Amy pushed her hands aside and highlighted a block of words — almost an entire page, really. With a glint in her eye and a flourish of her hand, it was gone. Smiling, now, Amy typed. It didn’t take long. Another voice chuckled, “Yeah, much better. But I see another spot that could use some improvement. Let me at it!” He too brushed them aside and began tapping away. Ty continued to type as these two looked on, mumbling now and then about the content. The room became still as he walked in, all prim and proper in his dark purple, pin-stripped suit. Everyone turned to watch as he approached. Even in the dim light, they could see his attempts to quiet his wild, blazing red hair. The professor demanded, “Step aside! Let me see.” He peered at her words, glaring back at him. A menacing sneer poured over his face. See what I have to put up with? My daughter says writers must be a bit schizophrenic with all the characters in their heads, constantly trying to manipulate the story…I’m beginning to think she’s right. In the meantime, Happy Fourth of July to you all. Have a blessed day.